This weekend we FINISHED painting our house!! This daunting task has been lingering for about a year and I'm beyond happy to be done! *insert sigh of relief* Along with painting, I decided to spruce up our bonus/media room! I hit up one of my favorite stores ever to score some beautiful new lamps! I went to Target and I found these perfect geometric shaped lamps. 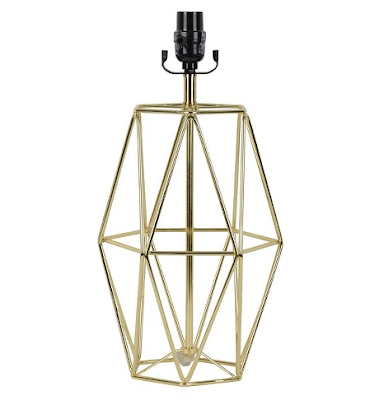 The Nate Berkus line is just too gorgeous for words! The lampshade is a light shade of grey, almost white, but gold on the inside! EEK! It's just way too pretty!! You can shop my new lamp here! One of the rings I love most about Target is the reasonable prices for home decor. I also scored this gorgeous and soft plaid pillow! 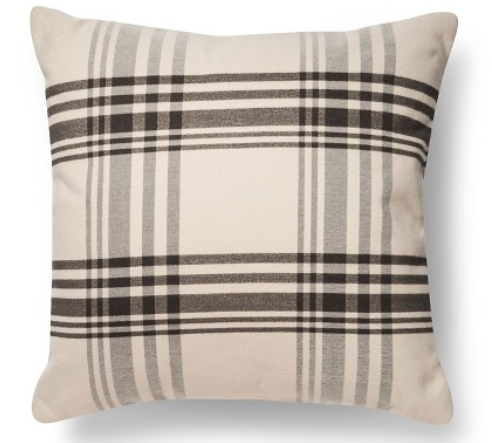 I'm unnaturally obsessed with plaid at the moment, so Target's plaid collection really affected my bank account! It's oversized so the pillow is really big and most importantly soft! It makes a nice napping spot on the weekends! You can shop it here! Trust me, it's totally worth it! Part of a good media room is having a good set of glasses! I found these beauties that are only $3! Literally a steal!! The gold in the plaid is a really nice pop against the black and it sparkles in the lights of my house! I bought two so I can cheers with my hubby to the end of long weeks, good memories, and a happy life together! 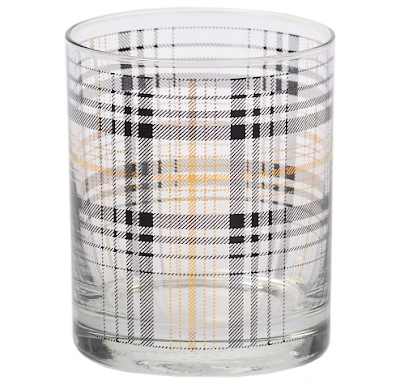 You can shop these incredible glasses here! Another love affair I have is with cozy blankets, especially plaid blankets! 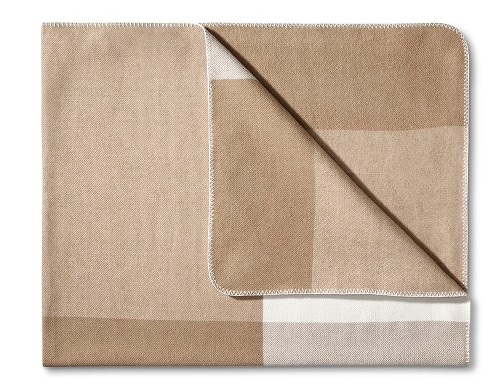 This oatmeal plaid blanket is too beautiful and extremely cozy. My bonus room is a warm tan so the blanket fits in rather nicely! One of the best parts, the blanket is 75% off and less than $10! I suggest you grab one of these before they're all gone! You can shop this blanket here! As soon as the room is perfectly back together, I'll share pics! It's a bit of a disarray right now!! Such cut plaid picks! Love it! I love that lamp and all the plaid stuff. I basically want to buy everything from Target right now. I love the pillow and blanket!! I'm a sucker for anything that reminds me of a cozy night snuggled up at home. A home makeover is so much fun and a huge thing to check off your to-do list. Great job girl! Loving that new lamp base, and I can't wait to see how the room looks!! I love simple plaid blankets!! They are so useful for every season. I actually just featured one in my blog post today too! Omgsh I love everything you've picked out but that lamp is divine! I love Target and the Nate Berkus line! Yay for makeovers!! Can't wait to see the finished product! I love the lamp base and the color palette you are using!! Looks like I need to make yet another trip (this week!) to Target--I LOVE that lamp!